Having excess skin after losing weight through phentermine can be a common issue, mostly as people lose weight quickly while on the medication. Here’s some information about why you get loose skin and what you can do to solve the problem. Extra skin can stay after losing weight if the skin tissue doesn’t have the elasticity to adjust to the new size of your body. This is why it is more common to have loose skin after losing a lot of weight. Given that people lose weight so quickly with phentermine, it can be a common problem for the community. Genetics, age and the number of times your weight has gone up and down can also influence sagging skin. Unfortunately, this means there’s no perfect formula for preventing it from appearing after losing weight. Still, we do have some suggestions for minimizing the problem as much as possible. As mentioned earlier, there’s no magic pill to 100% prevent extra or loose skin when you lose weight. There are still some things that you can do when losing weight with phentermine to help your skin stay as elastic as possible to reduce the possibility of extra skin folds. It’s not like you needed more reason to stay hydrated during your phentermine weight loss journey, but drinking water minimizes the risk of excess skin. Research has shown dieters who stay hydrated during their weight-loss journey finished with less loose skin. That could be related to the role water plays in keeping skin soft and plumping cells. Anyone that has been dehydrated knows that skin doesn’t bounce back as it should. So, on top of fighting dry mouth and helping weight loss, drinking water is also great for keeping skin elasticity and preventing loose skin. Much like staying hydrated, there are millions of reasons to eat a healthy balanced diet, and skin health is just one of them. The most important reason to make sure you eat healthily is the role diet plays in ensuring you have the right nutrients to support proper bodily function. Collagen is the main protein that supports skin structure and skin cell regeneration, and the body needs vitamin C to create the collagen. Make sure you get plenty of citruses, berries, melons, bell peppers, and tropical fruits to get the vitamin C you need. Berries are great because they also contain potent anthocyanins (plant pigments) which help in collagen production. Outside of fruits and vegetables, foods rich in proline (an amino acid found primarily in egg whites), copper, and vitamin A, support the production of collagen. The downside of this is that eating too many sugary foods and drinks can impair collagen production. Collagen also naturally decreases with age, which is what causes wrinkles, so you should be especially conscientious about consuming the above-mentioned foods if you are getting older. Protecting collagen is an important aspect of skin health, particularly if you’re worried about having extra skin when losing weight with phentermine. Healthy eating habits will also decrease the chances your weight will yo-yo. This further helps to protect against the excess skin. The more that your skin has to expand and contract, the harder it becomes for your skin cells to adapt. Much like a piece of clothing that has been stretched and shrunk repeatedly, skin grows less and has more trouble returning to its original size. The more consistently you are able to maintain your weight, the better for all involved. A healthy and sustainable diet and exercise regimen is an important part of continuing a healthy lifestyle. Remember how we talked about collagen earlier? Smoking and ultraviolet rays both damage collagen. If you want to protect your skin and prevent any damage, then you should give up tanning beds and smoking. The more damaged collagen is, the less likely it is your skin will bounce back after losing a lot of weight. The good news is that those are habits that should be kicked anyway. Smoking is about as unhealthy as it gets, and you should avoid smoking while taking phentermine. When it comes to UV rays, be sure to apply plenty of sunscreens when going out in the sun; keep it at 30SPF or higher. It’s important to eat a balanced diet, but it can sometimes be difficult to get all the nutrients you need no matter how hard you try. It can become especially difficult when trying to lose weight and restricting food intake. In those cases, supplementation could prove beneficial for both your health and skin. Before you take a supplement, you should check with your doctor and pharmacist. 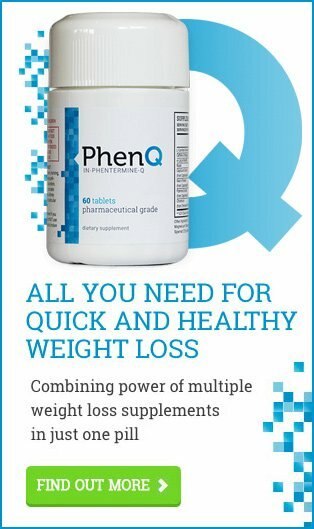 They are the ones best qualified to assess if supplements are safe to be used and combined with phentermine. Still, several sources suggest that taking multivitamins, fish oil, and/or collagen supplements could prove helpful. Even if you follow all of our advice, you may find that you still have excess skin when you lose weight. There’s no need to worry if you are comfortable with it and it doesn’t cause problems. Now, you have to maintain your healthy habits and keep the weight off. If you are uncomfortable with the extra skin or it is a risk to your health though, then we do have some options to take care of it. The first thing to do is not be so hard on yourself about that extra skin. See it is a badge of honor. There aren’t many people who can say they lost so much weight and kept it off long enough to worry about some extra skin. It can be annoying from a cosmetic standpoint, but it’s awesome you were able to lose all that weight in the first place! Unless you’re worried about the folds becoming an infection or the extra tissue is proving to be restricting, it’s up to you if you want to do something about it. Some people want to reduce the folds to give them a confidence boost or more fashion choices, and some like to keep it as a reminder of how far they came. At the end of the day, what you do with it is all up to you. If you want to tighten the loose skin but don’t want to get too drastic, then it’s time to go to the gym. Sometimes the extra skin left behind after losing weight is relatively minor – at least for some areas – so re-shaping the body makes it less noticeable. Boosting the major muscle groups in the arms, legs, and back can take some work, but it’s definitely worth it if it replaces fat with muscle. As well as making you look better, building muscle helps to keep the weight off. Muscle burns more calories at rest compared to fat, and given that your body will always be tempted to get the weight back, it’s important to keep your calorie-burning powers at their max for long-term health. Taking the time to sculpt a little lean muscle makes it easier for you to burn calories while watching TV and sleeping. When you’re looking to lose a lot of weight – such as over 80 pounds – it’s almost inevitable that you’ll have saggy skin; particularly if you lose the weight quickly. If there is a significant amount of excess skin, and it’s getting in the way of you living your daily life, you may want to consult a doctor and see if they have any options for removing it. There are two main medical choices here; laser/radio-frequency treatments and plastic surgery. The former can be done through the weight loss journey, and the latter is something that can only be considered once you have reached – and proven you can maintain – your goal weight. This is a non-surgical intervention that involves warming and pumping collagen fibers to improve the appearance of skin and stimulate collagen production. These treatments are often low risk and have little recovery time, but the effects are only temporary. Still, it is a medical procedure that you have at a specialist’s office, so be sure to consult your doctor if you are interested in laser and radiofrequency treatments for reducing excess skin after weight loss. Plastic surgery is the most serious option to remove excess skin, but many people consider it worth the risk, if not entirely necessary. You could be a candidate for plastic surgery if you have lots of excess skin, have managed to maintain your weight loss for over a year – and are still committed to the healthy lifestyle – and are otherwise healthy. Of course, only a doctor can truly determine if you are suited. If you feel that you would be a good candidate for surgery, then talk your surgeon – and consider consulting other surgeons – so they are able to discuss the risks and benefits of surgery and assess your fitness for such operations.